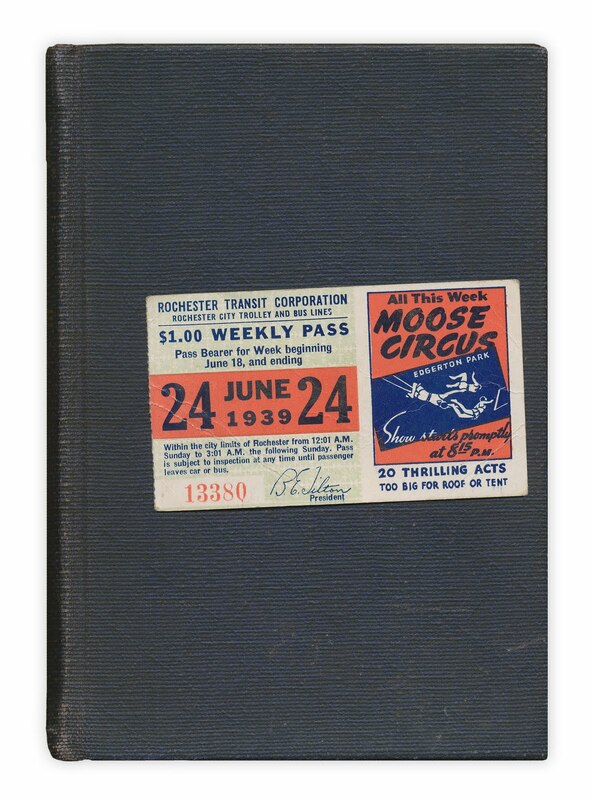 Transit pass for the city of Rochester. Good for the week of June 24, 1939. Features an advertisement for the "Moose Circus." Found in "Witch Wood" by John Buchan. Published by Houghton Mifflin, 1927.